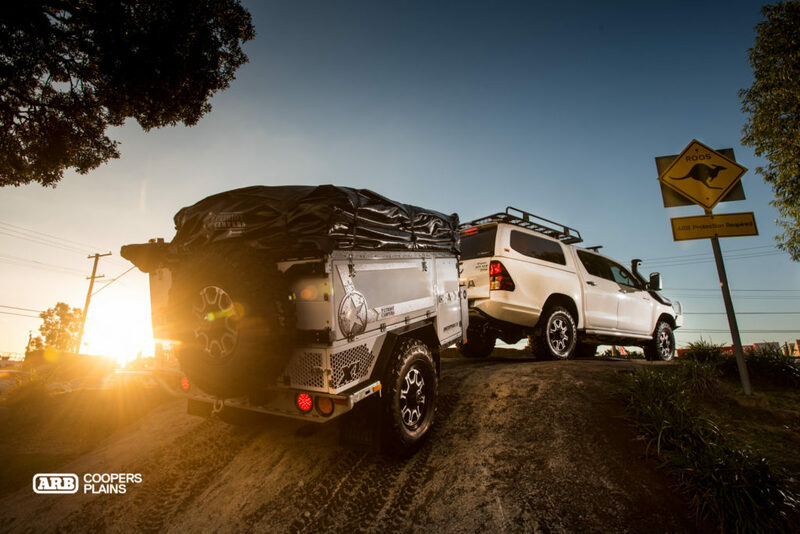 June marks the start of Cape York season and many four wheel drivers are now ticking off their final preparations to make the pilgrimage north. Craig Dowling and his wife Nicky will be travelling with their daughter and two sons on what is going to be an epic family adventure to one of Australia’s most spectacular destinations. 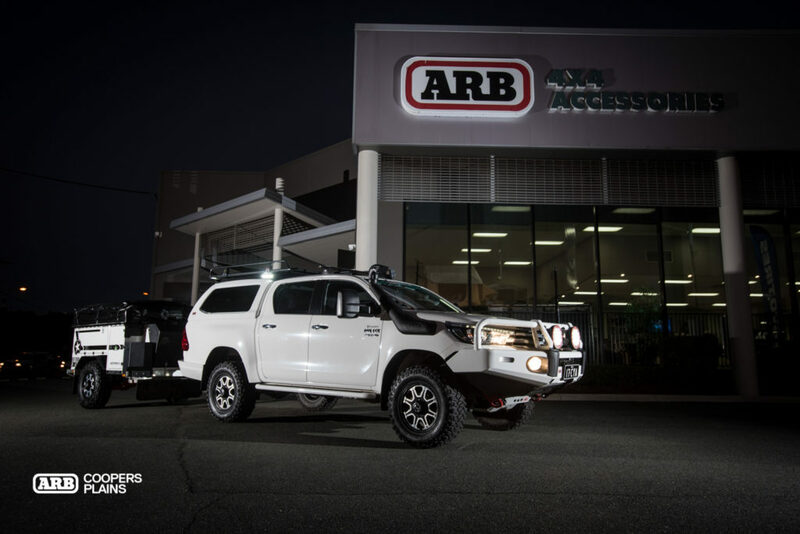 Over the past few months ARB Coopers Plains has been building this awesome 2017 Dual Cab Hilux, dubbed “Sammy”. With Cape York in mind, we had to make sure the vehicle and its components would withstand kilometres of harsh, vehicle devouring corrugations and deep creek crossings. 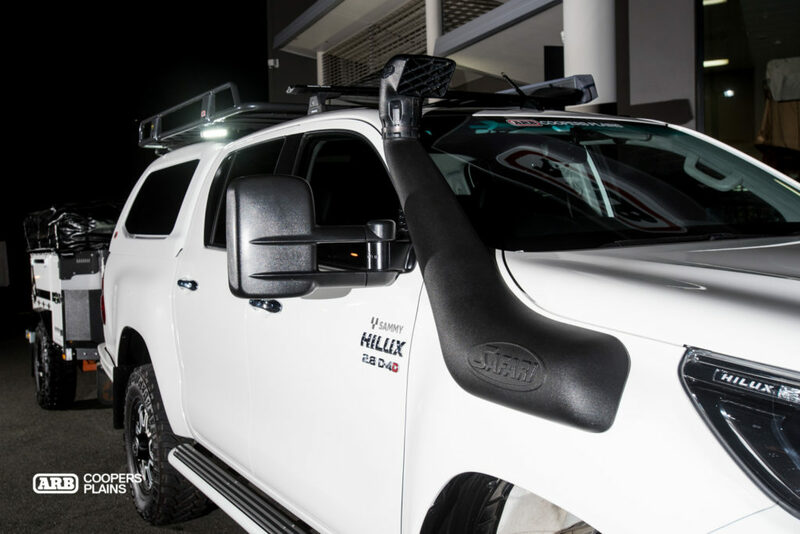 We will be following Craig and his family on his awesome adventure over the next couple of months, in the meantime, check out the key features of this Hilux build. 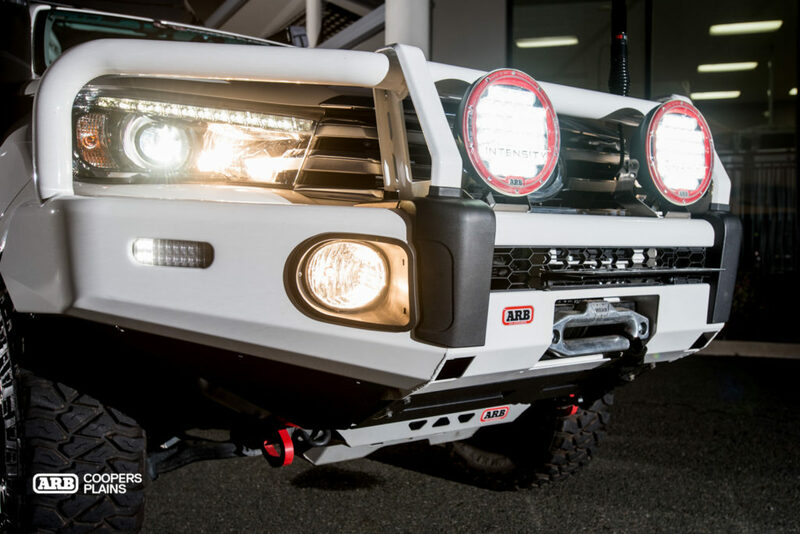 The colour coded ARB Summit Bar has been dressed with the ARB Intensity Lights and Warn Zeon winch, delivering a smart look and ultimate protection. 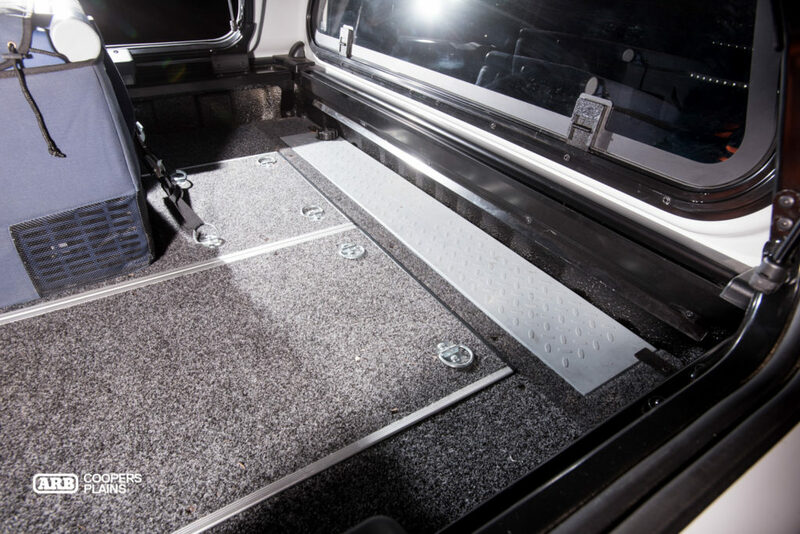 ARB Side Steps offer a practical solution for entry into the vehicle and protection for the vulnerable sill panels. 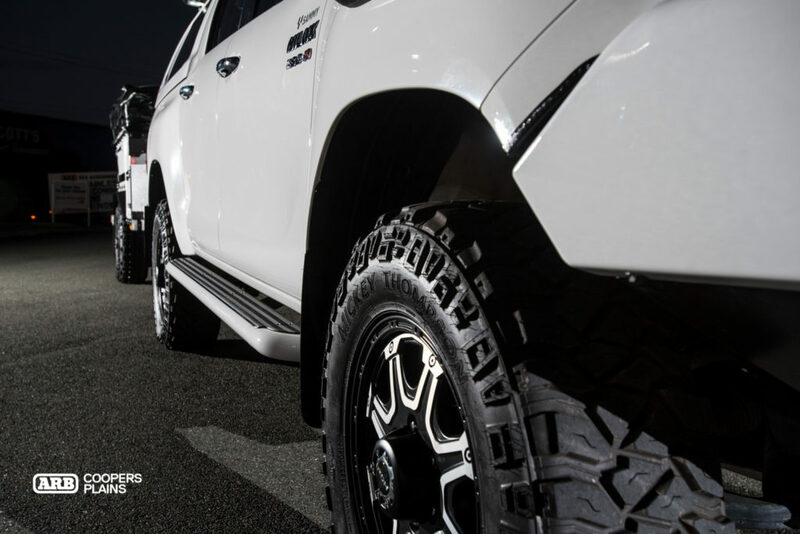 Mickey Thompson tyres were selected to improve traction and grip. Clearview Towing Mirrors allow Craig to have full vision behind him when he’s towing the camper. Cape York is notorious for deep water crossings, so a Safari Snorkel and diff breathers were fitted. 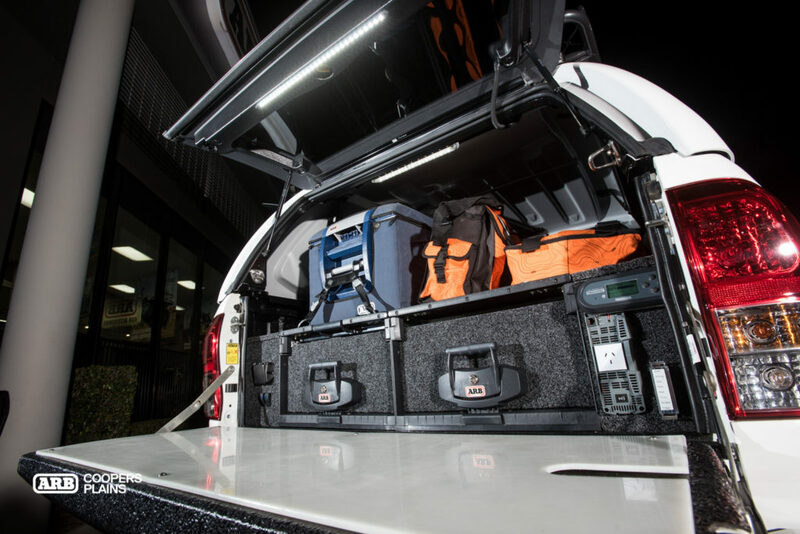 The ARB Ascent Canopy delivers security, practicality and style with the ability to lock important items away from the elements and sticky fingers. Central locking and one hand opening makes life so much easier. 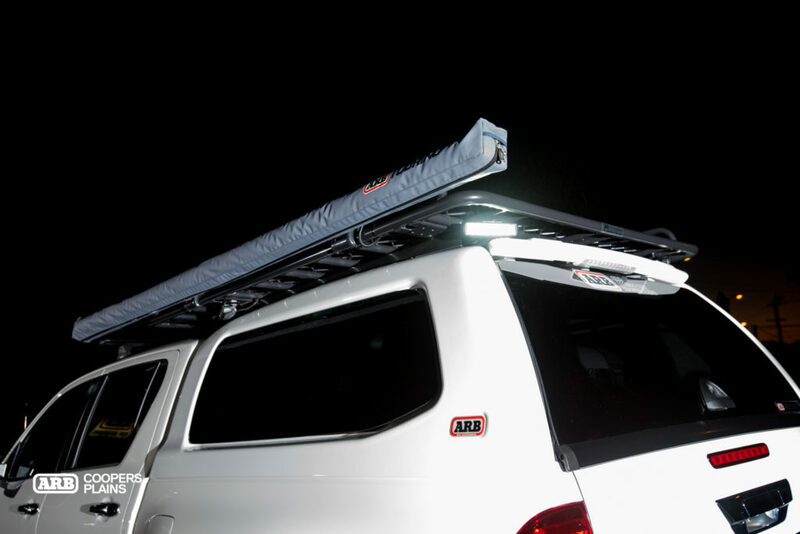 The ARB Rack provides a great platform to mount roof lights and awnings as well. An Outback Drawer System was selected to give some organisation to the tub. The drawers also provide handy spaces to fit the ARB Lifestyle Energy System. With Revolution Australia Lithium batteries supported by a Redarc Battery Management System, power is the least of Craig’s worries. The Redarc inverter allows him to use his household appliances on the road. A tailgate light fitted to the door gives a flood of light over the tailgate for those important nightcaps. Something really special about this drawer system is the Enmach 39L water tank tucked snugly away towards the headboard. With easy access to the filler and tap, Craig can keep emergency water on board all the time. 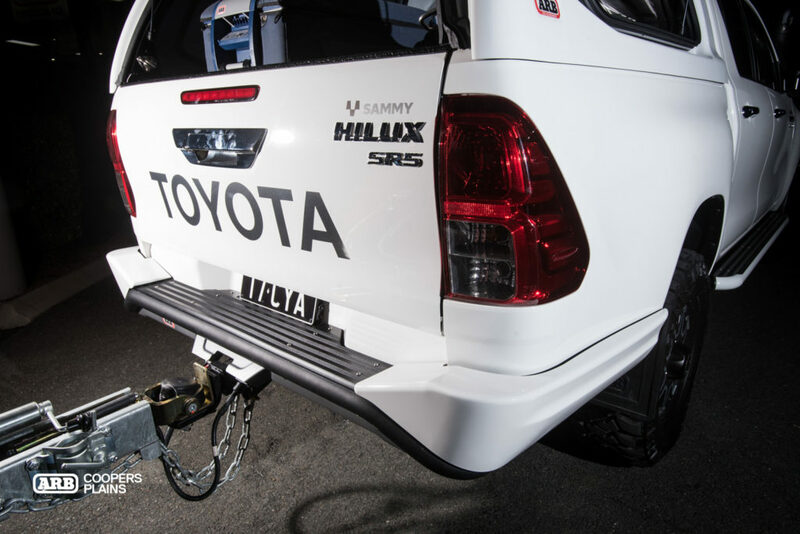 The ARB Summit Bar protects the rear panels of the tub and has an integrated towbar. Trailer wiring plugs and Anderson plugs can be hidden away behind the flip up access panel. With is stylish design it really blends in with the vehicle nicely. 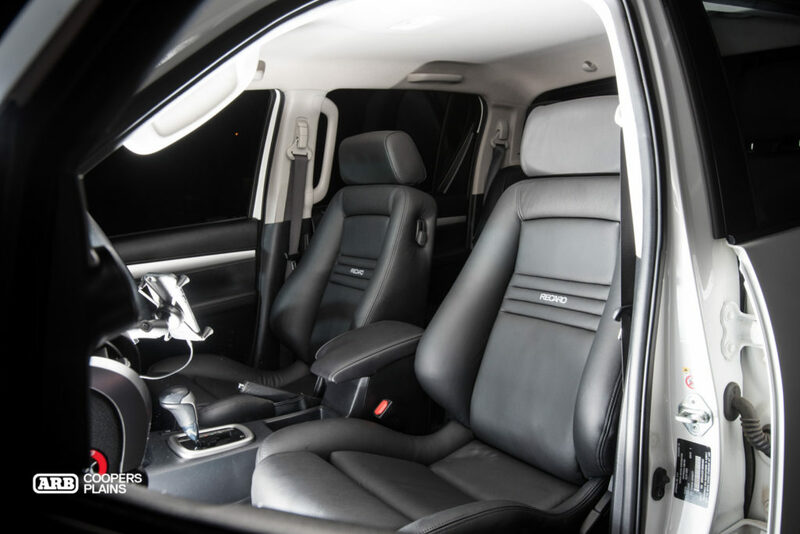 Recaro brings a touch of luxury to the Hilux. These seats are pure heaven and worth their weight in gold when you are going the distance.